The U.S. Navy wants to add 10 new attack submarines to its fleet, but according to a scathing government report, it can’t maintain the 56 attack submarines it has as of late 2018. “The Navy has been unable to begin or complete the vast majority of its attack submarine maintenance periods on time resulting in significant maintenance delays and operating and support cost expenditures,” the Government Accountability Office concluded in its November 2018 report. “GAO’s analysis of Navy maintenance data shows that between fiscal year 2008 and 2018, attack submarines have incurred 10,363 days of idle time and maintenance delays as a result of delays in getting into and out of the shipyards,” the GAO continued. The GAO cited the example of USS Boise, a Los Angeles-class attack submarine that commissioned into service in 1992. “Th Navy originally scheduled the USS Boise to enter a shipyard for an extended maintenance period in 2013 but, due to heavy shipyard workload, the Navy delayed the start of the maintenance period,” the GAO explained. Attack submarines represent a main pillar of the Navy’s strategy for deterring Russia and China. Stealthy and heavily-armed with torpedoes, anti-ship missiles and land-attack cruise missiles, attack subs “provide the global presence required to support national tasking and prompt warfighting response,” the Navy stated. But in the 1990s the sailing branch allowed its undersea fleet to wither. During the post-Cold War “procurement holiday,” the Navy bought only a handful of submarines. When the nuclear reactor cores aboard 1980s-vintage Los Angeles-class boats wear out, the overall attack-boat fleet could slip to a modern low of 42 in 2028, according to the 2019 edition of the Navy’s 30-year shipbuilding plan. To meet regional commanders’ requirements, the Navy needs 66 attack boats, Ray Mabus, then the Navy secretary, announced in December 2016. The shipbuilding plan projects the fleet finally reaching its 66-boat goal in 2046, assuming it can maintain steady annual production of at least two new attack submarines. The Navy plans for as many as 35 attack boats to deploy at the same time during a major war. Despite some labor and equipment shortages, there should be enough shipyards to maintain all the boats, the GAO explained. The problem is that the Navy prefers to repair subs at its own yards rather than contracting the same work to for-profit yards. 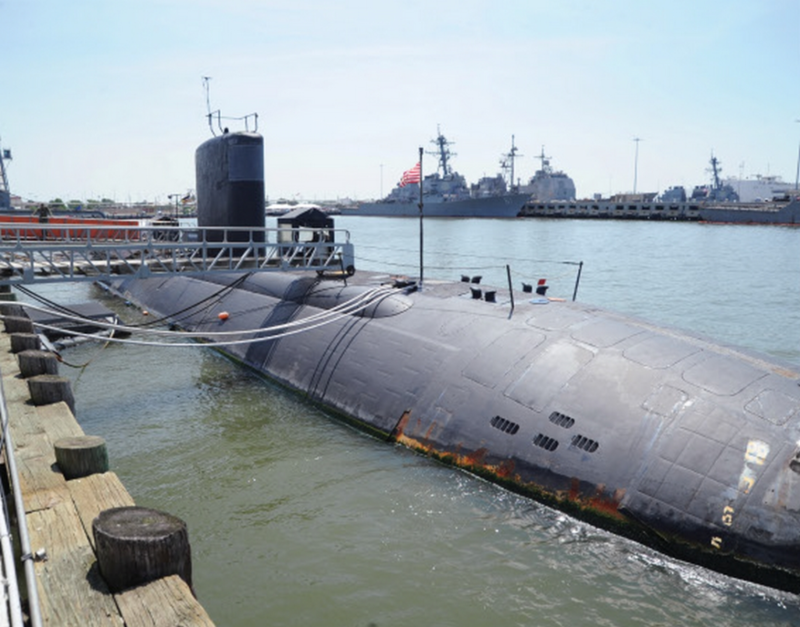 The Navy “has not effectively allocated maintenance periods among public shipyards and private shipyards that may also be available to help minimize attack-submarine idle time,” according to the GAO. If the Navy doesn’t fix the problem, it could buy all those new submarines it said it wants and still fall short of the number of operational submarines it said it needs.